LSA provided project management assistance to the Orange County Transportation Authority and the Orange County Council of Governments and led the team preparing the Orange County Sustainable Communities Strategies (OC SCS). The OC SCS is Orange County’s contribution to the region’s compliance with Senate Bill 375. The OC SCS is a significant document, and the process of writing Orange County’s strategy caught the interest of many stakeholders. 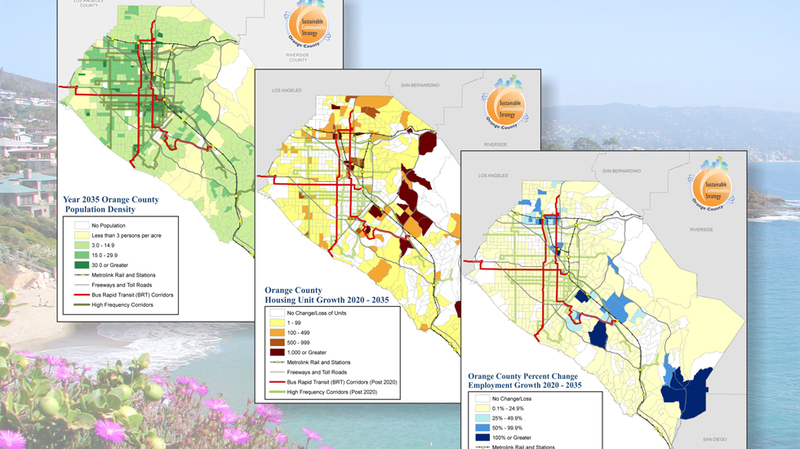 While producing the OC SCS, LSA coordinated with all 34 cities, the County of Orange, the Transportation Corridor Agencies, District 12 of the California Department of Transportation, the Building Industry Association of Southern California, the Friends of Harbors, Beaches, and Parks (representing a coalition of 19 conservation and environmental groups), the Kennedy Commission, the Public Law Center, and transit advocates.